Living in Ireland, Derry O'Donnell is hard pressed to find work as an actress. Hailing from America, she hasn't be cast in anything successful and is on the verge on being financially cut off from her mother when her best friend Bella convinces her to use her...unique talents...to make some money and keep her head above water. As the daughter of a seventh son of a seventh son, Derry is a psychic; mainly doing readings for friends she has never considered making a living from her gifts, often times playing them down but desperate times call for desperate measures and her fortune telling alter ego is born, Madame Tulip. Her first gig is for a charity event hosting the rich and famous, and unfortunately, a guest winds up dead. Derry finds herself embroiled in a mystery of drugs, lies, and deceit. Signs and symbols from her readings keep manifesting in the case. Can Derry sleuth out the truth before it's too late? This was a really great read guys! Touted as a mystery/thriller, this was a much more light, fun, mystery versus a dark gritty thriller. There was plenty of comedic relief what with the array of unique and flamboyant characters (Jacko was my favorite! ), that it almost felt like a lighthearted Nancy Drew type mystery novel. There wasn't a lot of shock and awe as far as the plot line was concerned, everything panned out as I expected, but the ride to get to the conclusion was a fun one. 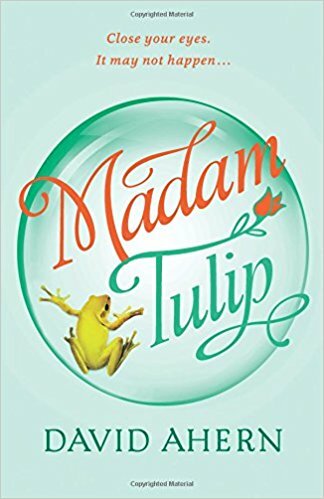 Ahern has definitely laid the groundwork for what could be a fun and exciting series with Madame Tulip. I am already invested in all of the characters, each providing a unique dynamic to the group giving Derry as a character more depth through each of these relationships. I, personally, hope to see more of Fitz (wink wink) in the future. If you are in the mood for a fun mystery that is sure to keep you entertained, this one is for you!